suited for space | Abler. The traveling exhibition Suited for Space continues its tour around the country, now on view at the Smithsonian. 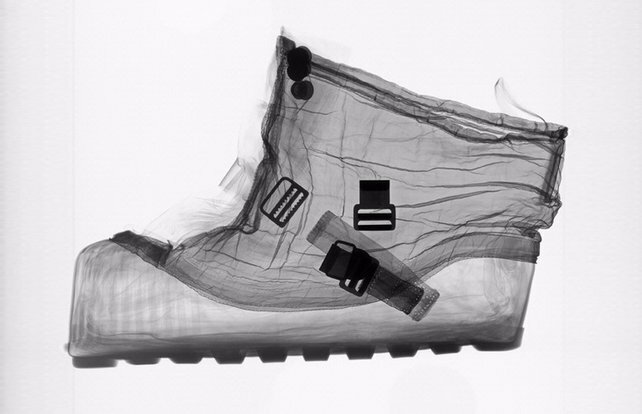 Particularly striking are these x-ray photographs of space gear, exposing the inner workings of those otherwise opaque monstrosities. 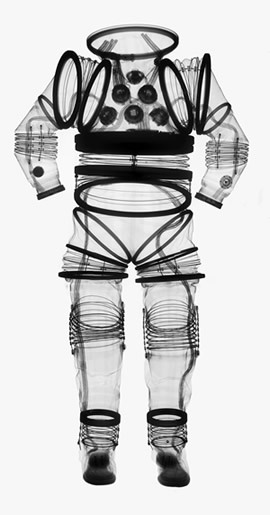 The spacesuit skeletons show how designers kept astronauts mobile with sets of conical ribbing around the shoulders and knees. They also built rubber restraint systems into the joint areas to preempt the problem of air displacement (flexing one arm and losing air space).